ProCo Hood Cleaning is proud to provide exhaust fan hinging services in Denver, Colorado. As part of our routine service, we will always address your exhaust fan needs. Because the exhaust fan is a very important part of your commercial kitchen, it should never be overlooked. During our routine service, we will clean your commercial kitchen exhaust fan as well as determine whether or not you need new exhaust fan hinges. 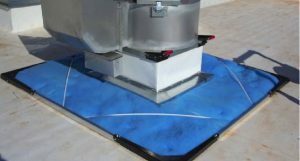 If you do need exhaust fan hinges, we will provide them for you as well as install them. Hinging an exhaust fan is not only required by code, but it will also significantly increase the life of the exhaust fan. SO WHY THE BIG FUSS? THEY’RE JUST HINGES, RIGHT? It may seem like a very small thing, but exhaust hinges are actually a pretty big deal. Because exhaust fans are typically made of a very soft form of aluminum, they can be damaged very easily. They can especially be damaged easily during a cleaning or repair process. If an exhaust fan doesn’t have hinges, the repair person will have to take the cap off and set it on the roof. It seems like a simple gesture, but most of the time it’s catastrophic for your exhaust fan cap. A bent and dented exhaust fan is a major fire hazard and code violation. Since commercial kitchen fires can happen easily, it’s important to properly care for your exhaust fan on a regular basis. You see how quickly things can escalate without exhaust fan hinges? ProCo Hood Cleaning keeps parts in stock so that we can add exhaust fan hinges when it is necessary. As with any service we provide, we will always provide you with information regarding any safety hazards or potential risk factors that your exhaust system may have. We will inform you if we need to add exhaust fan hinges. There’s no need to take a blow from an inspector about something as simple as exhaust fan hinges. 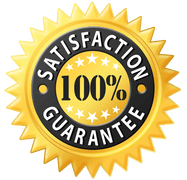 ProCo Hood Cleaning, the best hood cleaning service in Denver, can readily provide you with exhaust fan hinges installation services. If you are concerned about the state of your exhaust fan, or you’re not sure whether your exhaust system has hinges at all, give us a call. We will be glad to check things out for you. THIS IS A JOB FOR PROFESSIONALS. Never try to disassemble your system on your own. Exhaust fan systems are very fragile and any minor dent can cause a major disruption in its functionality. ProCo Hood Cleaning has a team of highly trained professionals and technicians who are able to properly take apart, clean, and maintain your commercial kitchen equipment without damaging it. 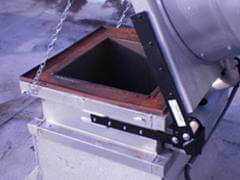 Call us today to schedule an appointment for exhaust fan hinges installation.